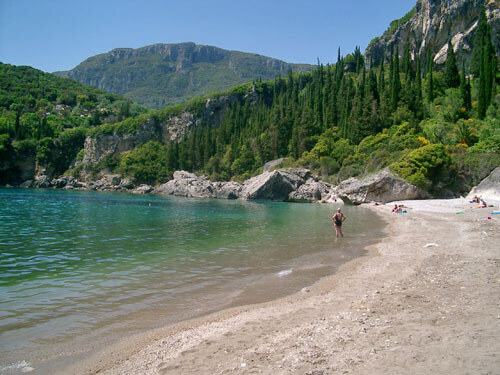 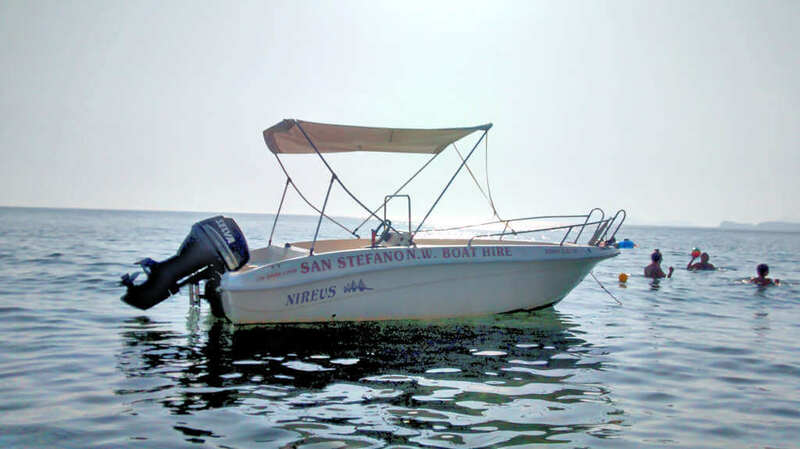 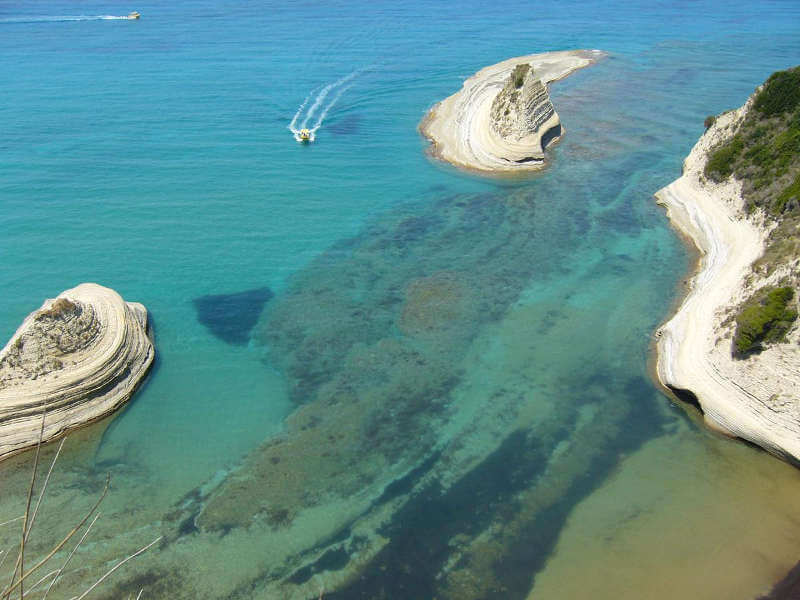 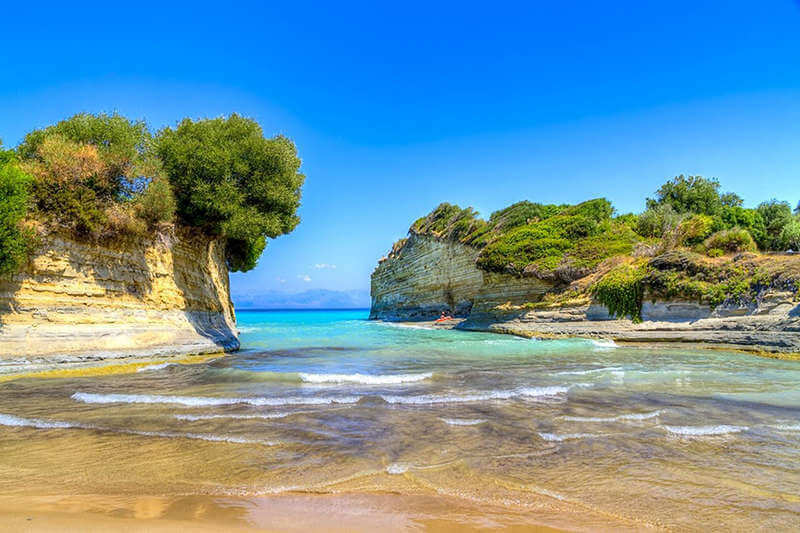 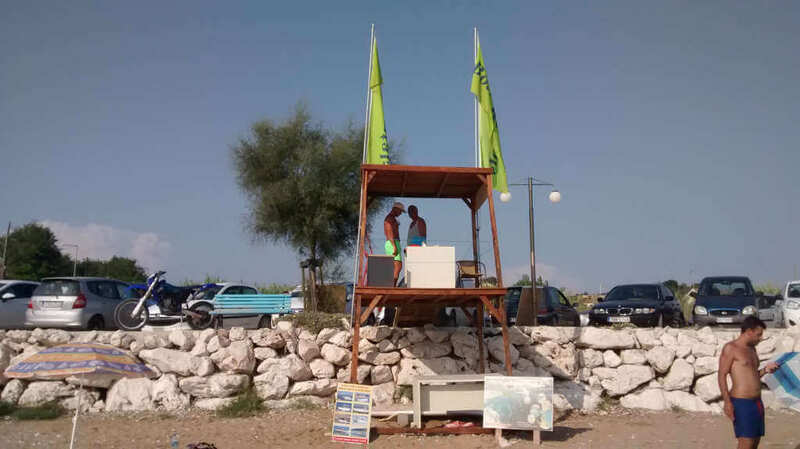 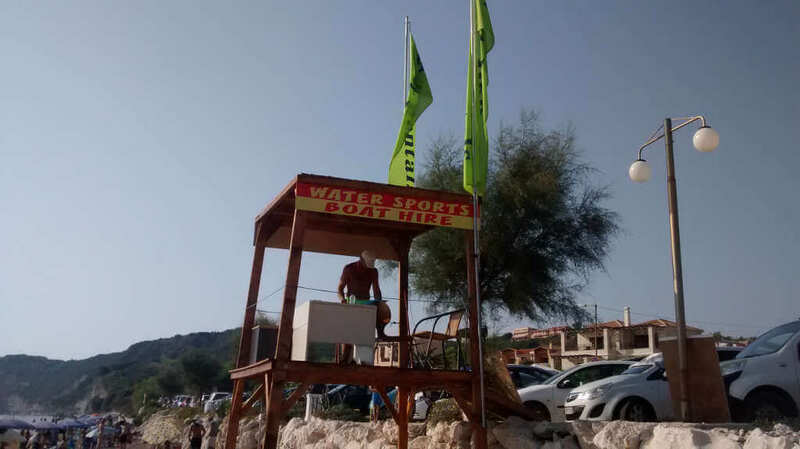 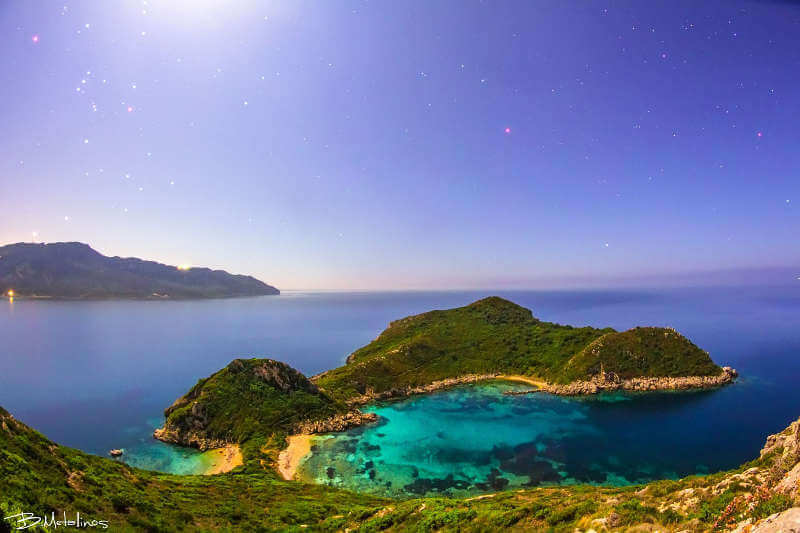 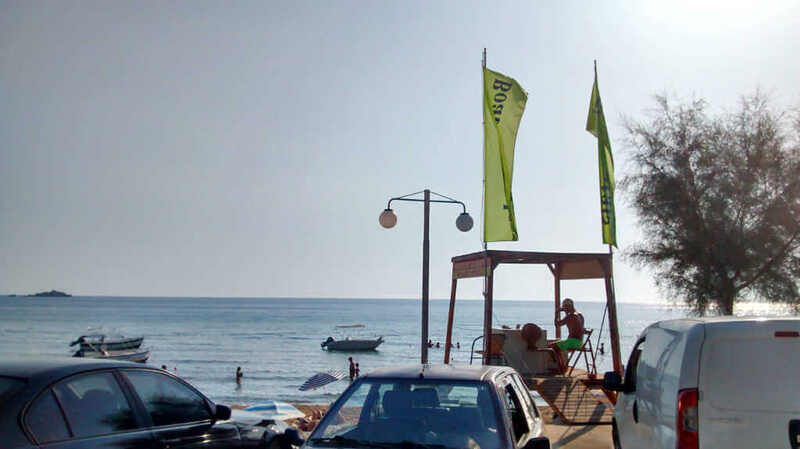 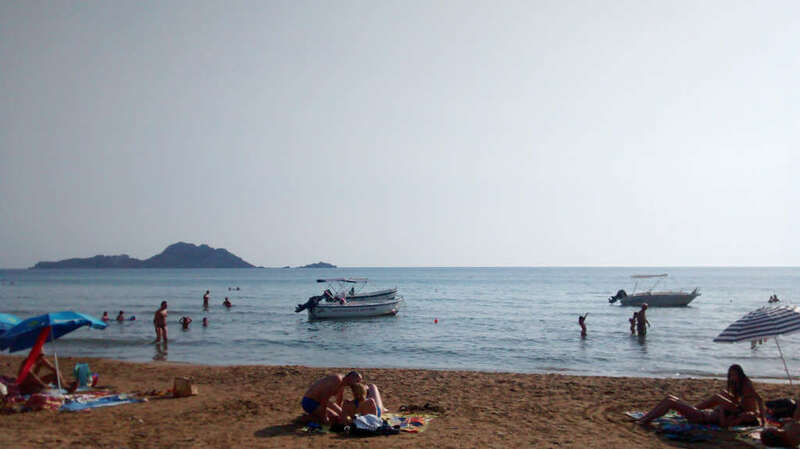 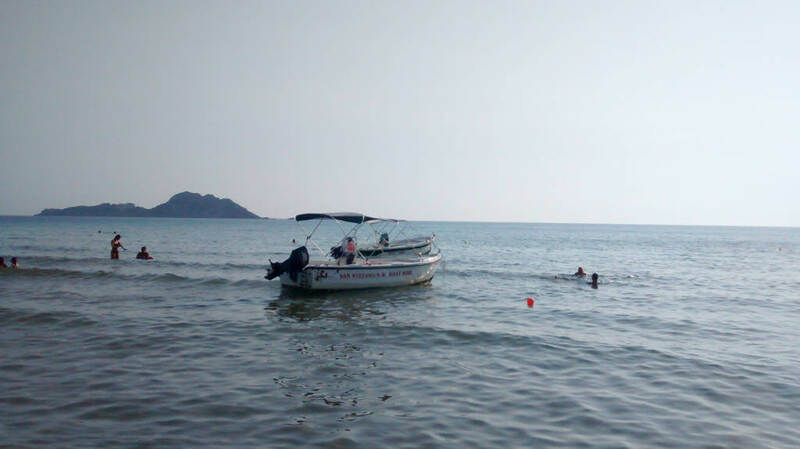 North West Boat Hire and Watersports hav been operating in the north west side of Corfu for more than 20 years, located at the famous beaches of San Stefanos (North West) and Arillas. 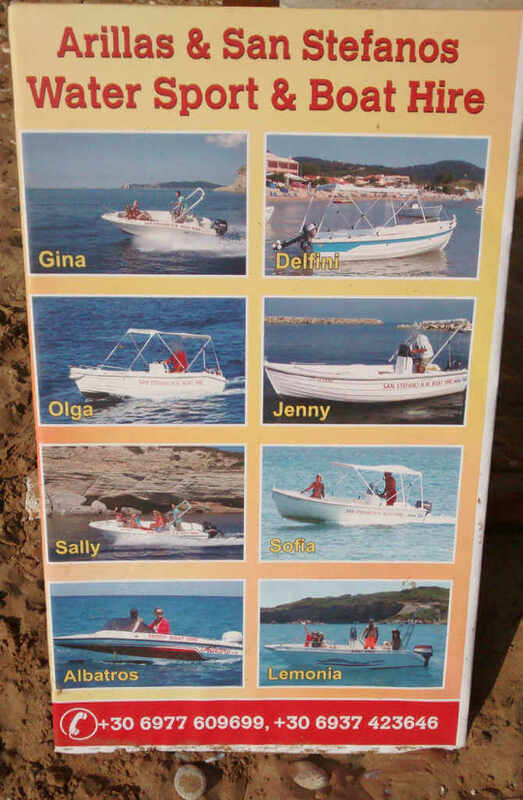 Their fleet consists of the following boats: Olga (10HP - 4.5m - 4people), Jenny (25HP - 5m - 5people), Sophia (30HP - 5m - 5people), Delfini (30HP - 5m - 5people), Sally (Family boat - 30HP, 4Stroke - 5.5m - 6people), Lemonia (Family boat - 80HP - 5.5m - 7people), Albatros (Speed boat - 50HP, 4stroke - 4.5m - 4people) and Gina (Speed boat - 30HP, 4stroke - 5m - 6people). 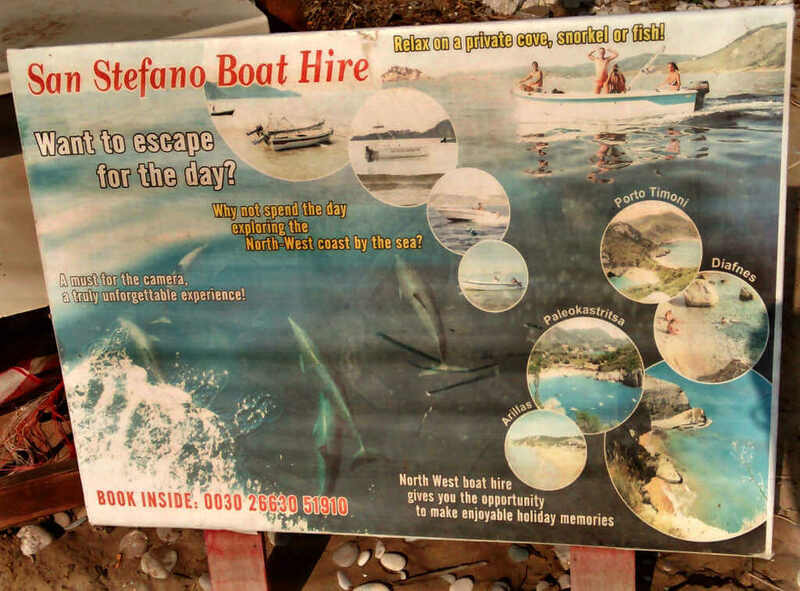 All boats come with 3rd Party Insurance, life jackets, safety equipement & emergency contact numbers, map to show limitations (which spans from Paleokastritsa up to Canal D'Amour), they are fully licenced and have been inspected by the Corfu Patrol Police and are being submitted to regular maintainance checks. 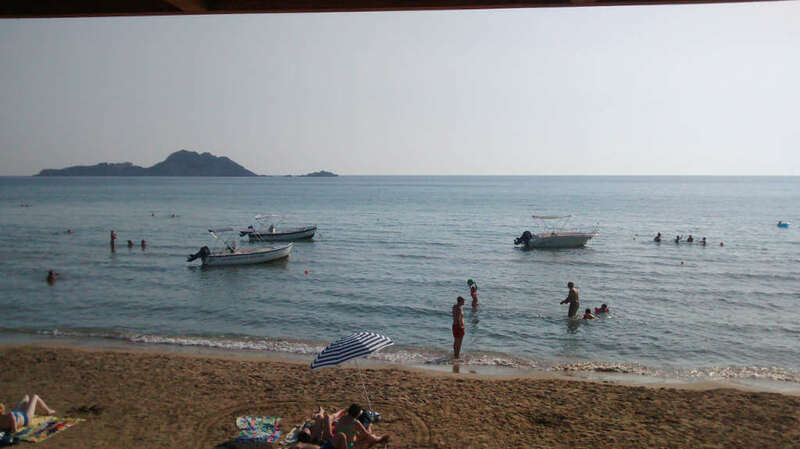 Collection is from San Stefanos Harbour or beach and from the beach of Arillas. 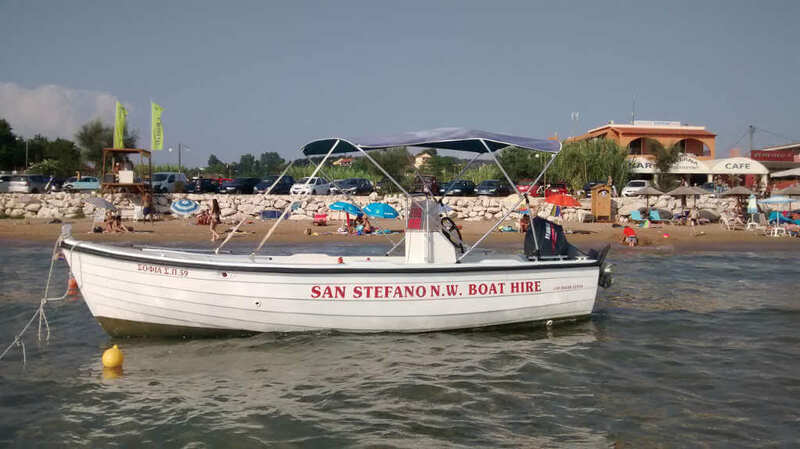 No previous experience or licence is required to book a boat but they will want to see your ID/Passport. 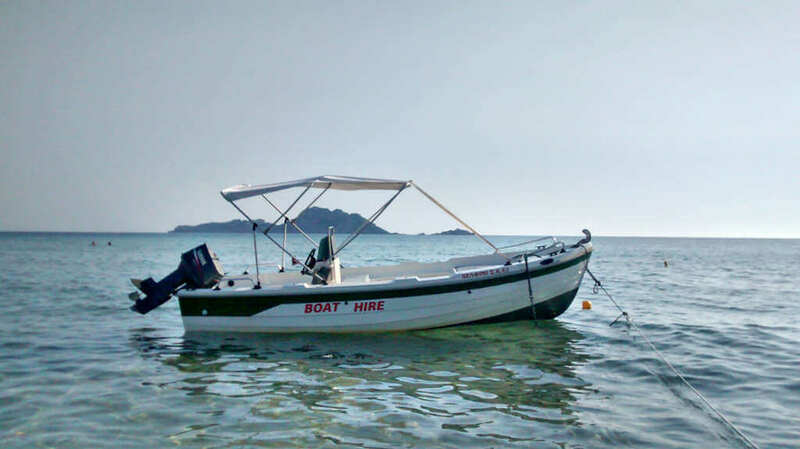 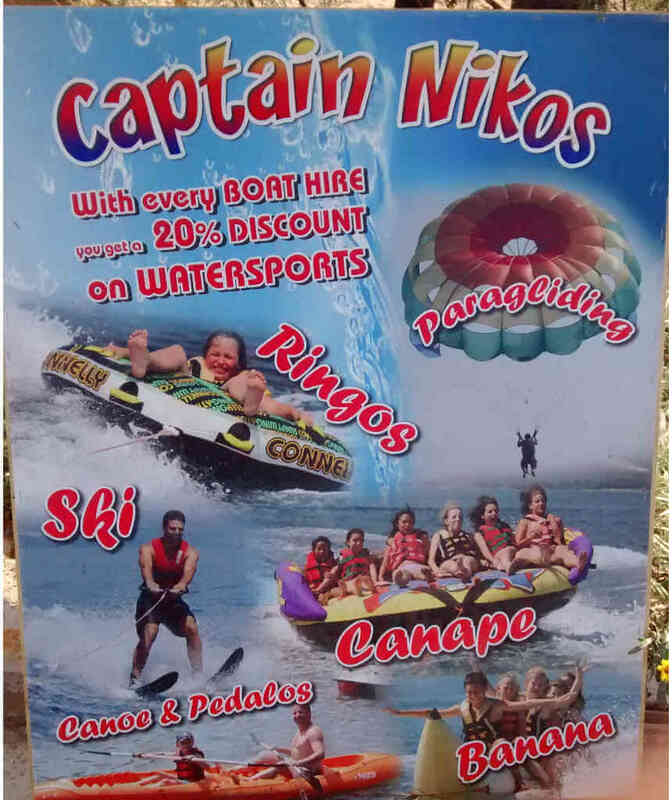 North West Boat Hire also do watersports like waterski, rings/chariot, banana, flyfish, speed boat rides and taxi boat to surrounding beaches and local islands.